Creamy Chicken Tortellini Soup - Light and Creamy Chicken Tortellini Soup Recipe. 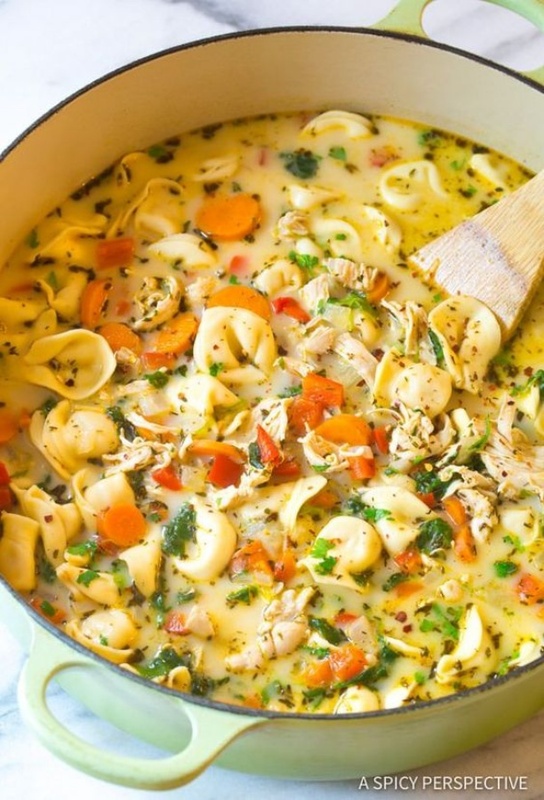 A cozy blend of chicken, vegetables, spice, cheese, and tortellini in a thin creamy broth. Lightened-up!